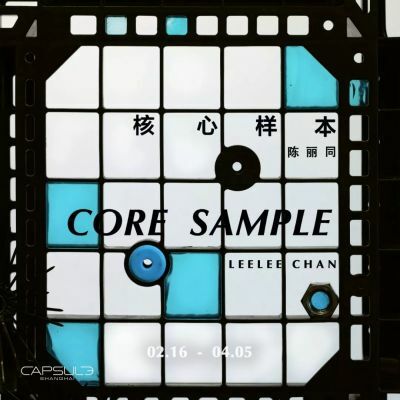 Capsule Shanghai is pleased to present Leelee Chan’s solo exhibition Core Sample, on view from February 16th to April 5th. The exhibition includes a selection of sculptures, paintings and collage works realized over the past three years, as well as her latest site-specific installations. As a young artist living and working in Hong Kong, Leelee Chan has － quite surprisingly and intriguingly － dedicated herself to sculpture. This choice is a result of her artistic education and her training in painting and sculpture in the United States. But in Hong Kong, a city with limited space and a highly commercialized art scene, it takes a daring artist to choose sculpture as one’s primary medium. The complexity of Hong Kong’s environment and space, however, allows Chan’s creative practice to stray from both abstraction and formalization. Chan incorporates myriads of ready-made daily objects in her works, revealing the cheap labor and emotional exploitation beneath the refined surfaces of these objects through a blurred state between nature and industry. Her sculptures are not “abstract,” therefore, but concrete and primal, laying out artificial objects in a seemingly natural arrangement. This interplay between closure and exposure is most evident in Pallet in Repose (marine)(2019). The empty square grids of a plastic pallet are filled with resin, evoking a classical Chinese window panel. Black foam packaging materials collected from auto repair shops are filled and wrapped with concrete, forming the exterior structure. The hexagonal metal parts embedded in the concrete structure and the nylon cable ties resembling marine creatures clinging to the surface create a refined harmony between industrial vestiges and a simulated nature. Similarly, in Pallet in Repose (portal) (2019), the artist removes the original core components of value from discarded product waste (wooden pallets, pink foam packaging blocks, half-moonshaped glasses). The materiality and the design previously used for auxiliary functions are neatly integrated to rebuild a series of elaborate, skeletonized structures, wisely recalling perceptions of nature. In Chan’s works, the primitive essence of an object becomes contradictory and witty. For example, she embeds hardware metal nuts into a plastic egg container filled with concrete condensing into 380 hard “acorn barnacles” (Barnacles, 2019). The material’s original form and structure are solidified in reverse; while the subjectivity completes its transformation: real eggs would break if they were to come into contact with these gray “acorn barnacles.” In Protector (2018), Chan employs a variety of different materials such as a car windshield, seashells, an egg packaging, concrete, and mother of pearl to assemble an untouchable “capsule toy machine.” These materials all share a “protective” function; they are woven into a totem of a modern society, sealing a gleaming but fragile hope. In House of Leaves (2017), leaves skeletons are encased in an imaginative shrine composed of a found fake stone-textured plastic frame and stone mosaic tiles, resembling those shrine stucked away in the alleys of Hong Kong’s urban space — these objects satirize the paradox between archaeology and modernism. Displayed in the gallery’s outdoor courtyard, Sunset Capsule, (2019) comprises LED construction lights combined with perforated concrete casts of their covers, metal parts and entangled cables. Giving off an artificial amber glow, the device re-creates a lasting Shanghai sunset. In Chan’s artistic practice, the objects discarded behind an auto shop, a supermarket, or industrial zones become important artistic materials. The abundant information and social insinuations contained in these objects do not constitute specific events, but permeate the economic model of our daily production. It is understandable, then, why Chan wraps these ready-made products in concrete and Aqua-Resin, elevating their forms and exposing their underlying crudeness and artificiality. She forcibly rejects the absolute reality of nature but instead incorporates it into her criticism of the consumerism that plagues everyday lives. To some extent, Chan’s art works reject a direct gaze, or they eliminate a simplistic interpretation of meaning through a given object’s existing form and structure. Thus, in Chan’s works, form is more than a metaphysical meditation or a re-creation of a landscape, it is rather a complete embodiment of an object, whose form and nature are fully preserved and grafted. She explores the questions: "Why is the form in this form? And what is the essence in these essences?"